What is your favorite animated movie of all time? We want to know! This question is the ultimate question that needs an answer. For many it is hard to choose because their are so many great animated movies that have been produced throughout the years. But if you had to choose just one, and only one, which would it be? My favorite animated movie is the Prince of Egypt. It sets the bar so high, no film can compete. My number 2 to number 5 picks are: Tangled, Beauty and the Beast, Secret of Nimh, and The Peanuts movie. Mine is either “Dumbo” or “The Three Caballeros” for Disney features. For a non Disney animated feature, it might be Fleischer’s “Mr. Bug Goes to Town” or Ralph Bakshi’s “Heavy Traffic”! depends upon genre. for emotionally moving, it’s a toss up between Spirited Away and Iron Giant. for totally badassery, it’s Rock n Rule, then maybe Wizards. As much as I love 2d animation over 3d, I think Toy Story is my all time favorite animated feature. Ghost in the Shell. Over 20 years later and the movie still holds up. All dogs go to Heaven, one of the best plots an animated movie has had, Fantastic Mr Fox is a close second. So hard to pick one. Aladdin, 101 Dalmatians. FANTASIA, PINOCCHIO & BEAUTY AND THE BEAST. Balto, Spirit: Stallion of the Cimarron, Beauty and the Beast, Robin Hood, Bambi, The Lion King, An American Tail Fievel Goes West to name a few. Most of Hayao Miyazaki’s movies, with preference for ‘Laputa’, ‘Mononoke Hime’ and ‘Spirited Away’. For Disney movies, I think ‘Fantasia’, though I love the art of ‘Snow White’. ‘Persepolis’, ‘Only Yesterday’ and ‘The Lego Movie’ as well. Lion king. Then princess mononoke. All dogs go to heaven, the secret of nimh, the iron giant. Ah, I can’t choose!! Paprika or The Triplets of Belleville. My favourite animated movie of all time is The Hunchback of Notre Dame. Stellar artistry and animation, awesome soundtrack, complex villain, loveable protagonists and such themes as heartbreak, love vs lust and racial discrimination. I highly praise the creators for producing perhaps the most Gothic and criminally underrated Disney film. The perfection that is “Dumbo”. For me , its The Secret of Nimh. Not only its beautifull , with drama , humor , adventure and magic , and Deaths..
but its had too the hope that other studios , not only Disney , could bring us excellent animations. I’d have to go with “Jungle Book”. “Princess Mononoke” and “Spirited Away”, undoubtly. If I would choose non-Ghibli films, I like so much “Persepolis”, “Perfect Blue”, “The Secret Of Kells”, “Hedgehog In The Fog”, “Wrinkles” and “The Secret Of NIMH”. Avatar the last air bender, animation, story, script love it. Old school: Thundercats. In terms of moving me emotionally, Hotaru no Haka, which I also hate. Otherwise, Jungle Book. Fantasia, Bambi and Sleeping Beauty I feel represent the peak of traditional animation. Hon. Mention to Snow White and the Seven Dwarves for being the first widely released feature and the reason we can choose an all time favorite. Aladdin (with Lion King close at 2nd). Help! I’m a Fish. Hands down. 2 equal favourites- ‘My Neighbour Totoro’ for its visual attention to detail, lovable characters & touching story. ‘Akira’, the first animated film I saw with murders and swearing! Epic filmmaking in every sense. It has likable characters, an epic quality, a funny villain, classical music, but what really sticks out is the animation! And this is by far the best animation I’ve ever seen! I really do hope they both finish and re-release this film in theaters, More and more people need to see this movie! So much better than Frozen! It’s big, It’s majestic, It’s artistic, It’s my all time favorite movie! Why would you ask such a question as if I can pick one. The Last Unicorn or Watership Down (they’re a tie for me). First choice: Little Mermaid, Princess Mononoke & Fantasia… But there is also 5 cm per second, sleeping beauty and spirited away which are pretty awesome too. My favorite is The Iron Giant, but Zootopia is kind of topping the list right now. The Secret of NIMH is my all time favorite, but The Lion King and Hercules are very close runners up. Well, Beauty and the Beast is my all-time favorite Disney movie, The Lion King is second and Aladdin is third. My all-time favorite animated movie from Don Bluth is An american tail. And my other favorite Non-Disney movie is Once Upon a Forest. For 3D Computer Animation, from Disney my favorite is Frozen. Second place, this year’s smash hit, Zootopia. Third place, Wreck-It Ralph. From DreamWorks Animation, Home, Kung Fu Panda 3 and Madagascar. From Disney Pixar, I always love the Toy Story Trilogy, of course there’s gonna be a fourth one in a couple of years, anyway, I also like Inside Out and Monsters University. What about movies that based off my favorite animated TV Shows? Well, I love all three of The Care Bears Movies and my other favorites are all three of The Rugrats Movies. There’s a lot more that I like, but That’s enough to say right here. Don Bluth – The Pebble and the Penguin. The last of his great films that was largely analog-produced start to end (storyboard and sketches to cels and film-based rotoscope), before CGI began infiltrating even hand-drawn films. One of the most unfairly-maligned animated works of its time. Can’t answer that question. There’s too many that I like. Spirited Away, Akira, …and I think I’m going to have to go with The Sword in the Stone. The Iron Giant immediately came to my mind. My all-time favorite is Dumbo. Some of my other favorites include Cars, The Emperor’s New Groove, The Jungle Book, Robin Hood, Mad Monster Party, Gulliver’s Travels, and Open Season. Snow white and the seven dwarfs… Undoubtedly!! One of the BEST animations! 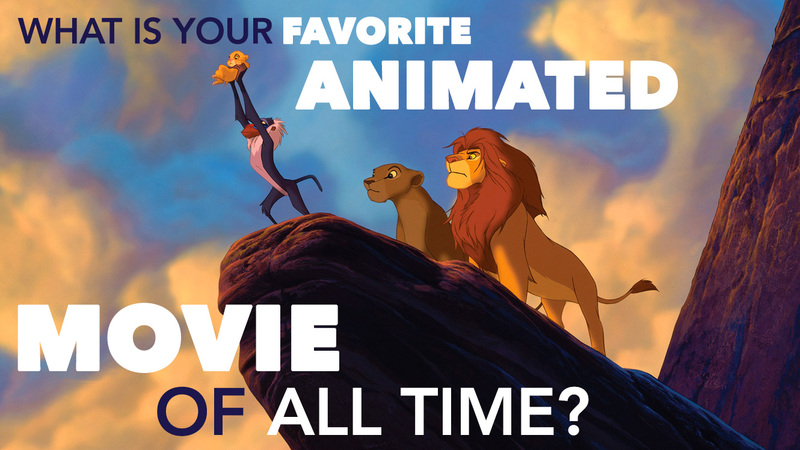 Of course the list is too long… Including wall-e, ice age, lion King, Bambi and many more!!! For non-Disney, The Iron Giant. The Pebble and the Penguin. It deserves a Director’s Cut too, so it can be viewed for what it should have been in its original coloration and with all the original cut scenes Bluth intended it to contain. It represents the amazing results Bluth’s team were able to produce while facing adverse and unexpected budgetary, time, and ideological constraints. I wish it would be shown again on the big screen in 2020 for its 25th Anniversary. Akira for me ……… but, I can never turn down any animated movie really. Love ’em all! My top 5, The Lion King, The Secret of Nihm, The Land Before Time, Charlotte’s Web, and Snow White. Tough call. If we’re going with traditional animation, it’d probably be a toss up between Akira, American Pop, and Dumbo. Oh, and of course, Winnie the Pooh. Disney’s “Pinocchio” did for animation what “Citizen Kane” did for live-action, but did it first. I’d probably go with “Rock & Rule”. Ralph Bakshi’s “Heavy Traffic” (a criminally underrated masterpiece, IMHO) with Disney’s “The Jungle Book” coming in for a close second! But there’s so much great stuff out there, I could go on forever! 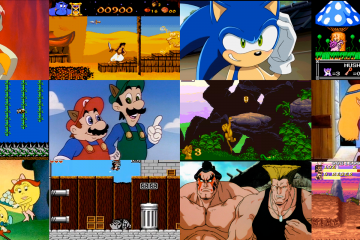 Bambi, The Thief and the Cobbler: Recobbled Cut, The Cat Returns, Princess Mononoke, Snow White and the Seven Dwarfs and Who Framed Roger Rabbit. THE LAND BEFORE TIME – I COULD WATCH THAT MOVIE FOREVER! WALL•E, I could go on for hours about how much I love that movie, but I don’t exactly have the time. The Lion King was the first movie I saw and it’s not only my favorite animated movie, but my favorite movie all around. C,mon Steve, How about Pinnochio? Huh? If your nose was a foot, then you’d be walking on it! Haha! A Good Disney classic indeed! These are just some of my favorites Spirited away,iron giant,Fievel goes west,Fantasia, Beauty and the beast,the little mermaid, toy story 1&2, lady and the tramp, the goofy movie, ect the list goes on! For me it is beauty and the beast. Love it love it!!!!! The Iron Giant, hands down. It’s my favorite movie period. can anyone tell me the name of that muvi shows pic of this link.?? * Treasure Planet, Sinbad legend of the seven seas, Tarzan, Song of the Sea, Big Hero 6, Zootopia. * Wolf Children, The Secret World of Arrietty, The Boy And The Beast. It’s so hard to choose, maybe I will choose My neighbor Totoro and Big Hero 6. 1998 Walt Disney’s Mulan. It was the first epic movie of an independent woman that I ever saw. All Time Favorite Animated Movie of All Time?